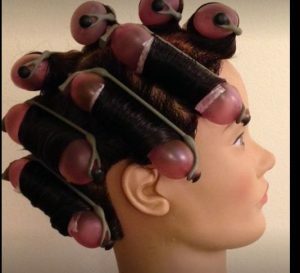 Welcome to Modern Edge Salon! Mission: Our mission is to provide healthy beautiful hair and help you look like you just stepped out of the salon every day! 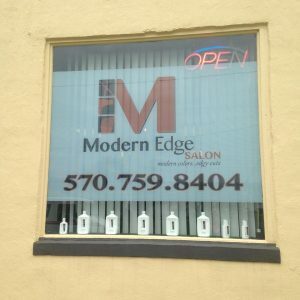 Modern Edge Salon started in August of 2000. Lead by Michael Bates, he is a National educator who teaches cut, color, and texture all over the USA. He is also a certified Master Colorist by Matrix. In charge of the inner workings of the Modern Edge Salon is Elizabeth Burkland. She is a dedicated lead stylist who’s passion for the hair industry is only surpassed by her joyful heart which she shares with her ever growing clientele. She has been a growing piece of the Modern Edge Salon since 2001. She is also part of our education team, always setting up in house education as well planning our trips for outside education. Our culture is based on Education. We are continuously learning and training. Our focus is on hair services: Cut, Colors, Highlights, and Texture. We also have home care shampoos, conditioners, and styler’s to help you to keep your hair looking the best it could. From the leading brands in the beauty industry Pureology and Matrix. We have our own private label of products “MESS” which delivers high quality results infused with Biomineral technologies.